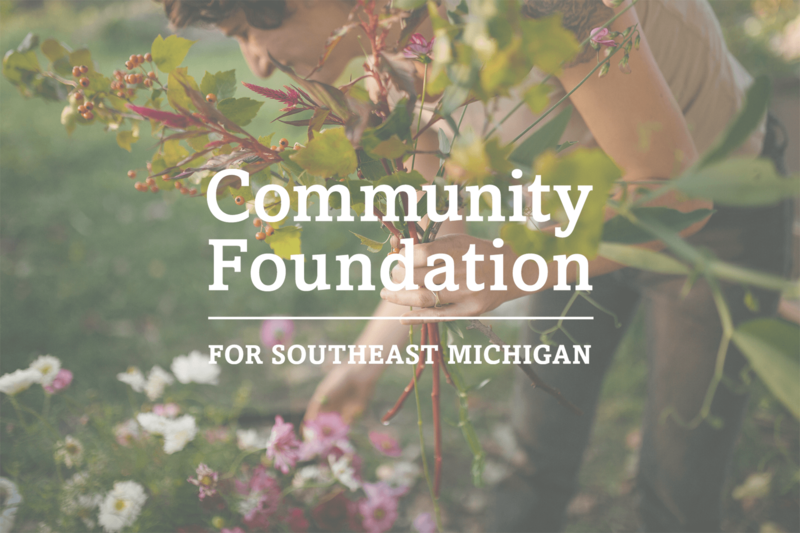 The Community Foundation for Southeast Michigan announced nearly $19 million in grants to organizations and initiatives primarily within southeast Michigan’s seven counties in areas including health, education, the arts, environment, youth and housing and human services. $250,000 over two years to the Detroit Symphony Orchestra to attract new audiences to the Max M. and Marjorie S. Fisher Music Center. $30,530 to the Regents of the University of Michigan for a resource program for dance artists. $250,000 to the Sphinx Organization Inc. for support over two years for the Sphinx Arts Education & Access Programs: Overture after-school music education, and Sphinx Artist Residencies/Arts Enrichment programming. $250,000 to Invest Detroit Foundation for the expansion of the Hacker Fellows Program, which will grow the availability and quality of entrepreneurial talent in the competitive-edge technology sectors in Michigan. $35,000 to Brilliant Detroit for a robust data management system to improve client services and reporting. $10,000 over two years to the Detroit Food Policy Council for educational programming focused on urban agriculture and the raising of livestock chickens at Oakland Avenue Farms. $35,000 to Detroit Public Library to expand the Wash & Learn program, which provides early learning opportunities in Detroit laundromats. $54,000 to The Roeper School for a program that trains teachers to identify and serve high potential students through a partnership with Detroit Public Schools Community District. $75,000 over two years to Detroit Riverfront Conservancy Inc. to build organizational capacity through the implementation of a new database system. $65,000 over two years to the National Wildlife Federation – Michigan for Sacred Grounds, an interfaith program to create native wildlife habitats and engage surrounding communities with sustainability education. $75,000 over two years to the Alzheimer’s Disease and Related Disorders Association for in-home, person-centered care counseling to people affected by dementia. $50,000 to Community Living Centers Inc. for the positioning needed to bridge financial gaps and enhance the quality of life of people with intellectual and developmental disabilities. $50,000 to Fair Food Network to provide healthy produce to southeast Michigan families and sharing best practices. $75,000 to the Chaldean Community Foundation to establish a program that provides free legal services to low-income individuals with civil legal matters that pertain to the family unit. $60,000 to Motor City Grounds Crew for a community tool library that gives Detroit residents affordable access to common tools and equipment, as well as safety and skilled trades workshops. $50,000 to Restaurant Opportunities Centers United Inc. for the Restaurant Opportunities Center of Michigan to expand a workforce development program. $25,000 to South Oakland Shelter Support for a merger exploration process between South Oakland Shelter and Lighthouse of Oakland County. $52,415 to the University of Michigan-Dearborn for a summer program designed to train youth in environmental community-based science and policy advocacy. Grants were also approved for the New Economy Initiative, Detroit Parks and Public Spaces, and other special grant programs.